Lawyers serve as advisors, advocates, and representatives for their clients, which may include individuals, corporations, or government agencies. Their job often includes preparing and filing legal documents, interpreting laws and regulations, and researching and analyzing legal issues. In order to apply to law school in the United States, you must have a bachelor’s degree from a four-year college or university. Selecting an appropriate major is an important step in this process. Although some colleges and universities offer a degree in Prelaw, many students major in a different field. Unlike for medical school, there are no prerequisites for law school. In fact, the American Bar Association (ABA) does not recommend any one track or specific major to prepare students for law school. On its website, the ABA encourages undergraduates to take challenging courses that will hone their research and writing skills to prepare them for law school. Examples of popular majors for law students include Political Science, Philosophy, History, English, Business, and Economics. Interestingly, a 2012 article by U.S. News & World Report looked at data from about 78,000 law school applicants and found that those who majored in Prelaw and Criminal Justice were less likely to get into law school than students who majored in other subjects, such as Philosophy, Economics and Journalism. In addition to choosing a major that will prepare you for law school, you should focus on getting excellent grades and high Law School Admissions Test (LSAT) scores. Law school admissions committees weigh both very heavily along with the reputation of your undergraduate university. Your undergraduate GPA matters because admissions to top law schools are competitive, and because admissions committees want to know if you will be able to handle the academic rigors of law school. The best law schools are looking for at least a 3.5, however, the undergraduate GPAs of enrolled students at elite schools are often higher, typically 3.7 or above. The Law School Admissions Council (LSAC) site has a tool that allows you to enter your GPA and your LSAT scores (or other search terms) to find a law school that may be a good match for you. It then calculates how likely you are to be admitted to that school based on recent admissions trends. Taking the LSAT is an essential part of applying to law school. This standardized, half-day test is administered four times a year (June, September/October, December and February). Most law schools require the LSAT to be taken by December if you are applying to law school for the following fall. The basic LSAT costs $170. The LSAC website defines the purpose of the LSAT as providing a standardized evaluation of reading and verbal reasoning skills for law schools to determine applicants’ abilities. More specifically, the test measures students’ ability to read and comprehend complicated texts, organize and manage information, draw reasonable conclusions, think critically, and analyze and appraise the reasoning process and arguments of other people. The LSAT is divided into five 35-minute sections of multiple-choice questions. Only four of these sections count towards your score. (One section is used to try out new test questions that may be included on future LSAT exams.) The multiple-choice sections are divided into reading comprehension questions, analytical reasoning questions, and logical reasoning questions. Finally, there is a 35-minute unscored writing sample that is submitted to law schools along with the rest of your application. The LSAT is scored from 120-180 points. Although the average LSAT score is 151, the median score at the most selective law schools in the last two years has been 167 or higher, as you can see on the U.S. News & World Report site. Students who are not happy with their score can take the test again. Most law schools only look at the highest score; however, schools have access to all of your LSAT scores and may average them. You can register for the LSAT on the LSAC website. Choosing a law school is an important decision that may determine if you get a job when you graduate. Finding a job has been very challenging for law school graduates in the past few years, even for those who attended a top law school. The ABA publishes job placement rates for accredited schools on an annual basis. 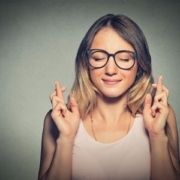 Your odds of landing a job will be better if you do your research in advance. The good news for students entering law school in the next few years is that the job market is beginning to show signs of improvement, not least because law school enrollment numbers have been dropping steadily. Attending an ABA-accredited school is your best bet, especially if you decide to practice in a different state one day. Even if students from non-ABA-accredited schools are able to sit for the bar exam in their state, they are less likely to pass, and less likely to get hired. U.S. News & World Report publishes annual law school rankings. Attending a top ten school (such as Yale, Harvard, Stanford, Columbia, the University of Chicago, NYU, the University of Virginia, the University of Pennsylvania, Duke, or the University of California, Berkeley) can be a good move if you can get in. Law school rankings matter more than any other graduate school ranking because the best professors want to teach at these schools and the most prestigious firms want to hire their students, even in a difficult job market. These schools have name-recognition and long-standing relationships with big law firms, which may set aside summer internships and often recruit students on campus. On the other hand, students are often advised to go to law school in the city or state where they plan to practice. 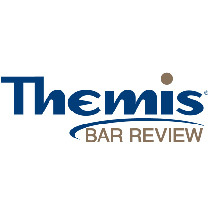 This facilitates taking the bar exam, and local businesses and firms may prefer students who are from the area and plan to stay there. For example, if you plan to practice law in North Carolina, it might make more sense to study law at the University of North Carolina at Chapel Hill or North Carolina Central University than at an out-of-state school. If your local school is also ranked highly, you will have the best of both worlds because you can stay in the area or practice law in another state if you get a great job offer. Another significant factor in your decision should be the price. Going to a top 20 law school can cost between $45,000 and $55,000 per year in tuition and fees alone. When you add $15,000-$20,000 in rent, living expenses, books and insurance, you are looking at a total price tag of $60,000-$75,000 per year. Less expensive options, such as the University of Arkansas, the University of Montana, and The University of Akron will still set you back between $24,000 and $30,000 in tuition and fees per year (if you do not qualify for in-state tuition) in addition to living expenses and lost income for not working (or working part time) for three years. If you attend a state school, costs will be much lower, especially if you are a resident. Scholarships and grants can also defray some of those costs. Non-traditional students may make ends meet by working during the day and attending law school at night. Internships are a great opportunity to practice the skills you have learned in school and build your resume. Different types of firms specialize in different areas of the law. Internships will vary according to the size of the firm and its primary focus. The internship after your second year in law school (2L) is the most important. Often, a summer associate position during the summer before you graduate will lead to a job offer as a full-time associate with that firm after graduation. Most law schools have career services departments that connect students with employers and help students navigate the interviewing and hiring process. Law schools typically host a number of job fairs during the year for students to meet law firm representatives and find out about various internships. You should attempt to get legal experience after your first year of law school as well. 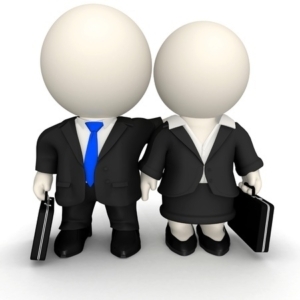 Smaller firms are more likely to accept a 1L summer associate. Other options include becoming an intern for a judge, working for a public interest organization, or doing research for a law school professor. Be aware that on-campus interviews for summer associate positions after your 2L year take place as early as the summer after your 1L year. Bigger firms actively recruit a number of students for summer positions to identify the strongest candidates. They often hold information sessions and short interviews at law schools or hotels. Positions at the most prestigious corporate firms are very competitive. Students with the highest GPA and those at the most elite law schools will have the most options. Working at a smaller law firm may not pay as well or be as prestigious, but it could give you more hands-on experience. Becoming a summer associate gives students the opportunity to check out the culture at a particular firm, find out if they like working in a particular law specialty, add experience to a resume, network, and earn a nice paycheck over the summer. You should treat a summer associate position as a lengthy job interview. Law firms will expect you to do similar work to that of a full-time first year associate, with a number of added social and financial perks. They will try to convince you that their firm is a great place to work, but they will also be watching to see if you are a good fit and a hard worker to determine whether they should offer you a full-time position. After you graduate with your JD you must still pass the bar exam in the state or states in which you intend to practice law. Each jurisdiction has its own BAR exam requirements, although some states and jurisdictions have reciprocity. In most states, the bar exam is held twice a year (July and February) in specific testing locations. Results are published three to four months later. 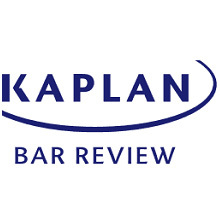 The bar exam is a rigorous two to three-day exam, and most law students spend many weeks or months studying for it. It is more challenging than the LSAT, and many students take BAR review courses to prepare themselves. It varies from one state or jurisdiction to the next, but the first part is typically the Multistate Bar Examination (MBE). On the MBE, test takers have six hours to answer 200 multiple-choice questions (broken up into two three-hour sessions of 100 questions each). Questions cover the following categories: criminal law and procedure, constitutional law, contracts, evidence, real property, and torts. The MBE counts for as much as 50% of your overall bar exam score, depending on the jurisdiction. The second part of the bar exam covers state-specific law, and takes place on a different day. In most states, this part of the exam takes the form of essay questions. Some jurisdictions require the Multistate Performance Test (MPT) as the third part of the bar exam, which may or may not be administered at the same time as the other two sections of the exam. The MPT tests your ability to apply your knowledge of the law in realistic scenarios. A number of jurisdictions have adopted the Uniform Bar Examination (UBE). This exam includes the Multistate Essay Examination (MEE), in addition to the MBE and the MPT. The advantage of this two-day test is that it is uniformly administered, graded, and scored by all of these jurisdictions and is therefore portable and transferable among them. (Some UBE jurisdictions may have additional requirements that pertain to jurisdiction-specific law and/or specific educational components for that jurisdiction). Most jurisdictions also require the Multistate Professional Responsibility Examination (MPRE) for admission to the bar. This two-hour multiple-choice exam tests established standards for professional conduct. Each jurisdiction uses its own bar exam format, scoring, and passing scores. 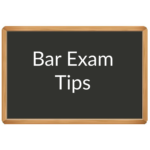 A particular jurisdiction’s bar exam rules and regulations can usually be found on their website along with detailed statistics about pass rates for first-time and repeat test takers. Overall passing rates for the California Bar Exam for all test takers (i.e. first-time and repeat takers) in 2014 were 45.3% (February) and 48.6% (July). (Pass rates are typically higher for first-time test takers). Overall passing rates for the New York Bar Exam for all test takers in 2014 were 47% (February) and 65% (July). (Pass rates are typically higher for first-time test takers). National data for the 2014 MBE and MPRE (broken down by jurisdiction) are available at the National Conference of Bar Examiners (NCBE) website. 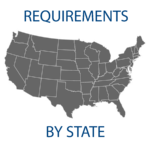 In summary, you must meet all the requirements listed above (and perhaps a few more) to be admitted to the bar and be eligible to practice law in your state. The road to becoming a lawyer is long and challenging, but it can lead to a rewarding profession. 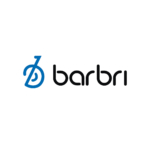 Barbri Bar Review CPA Exam vs. Bar Exam: Which One is Harder?